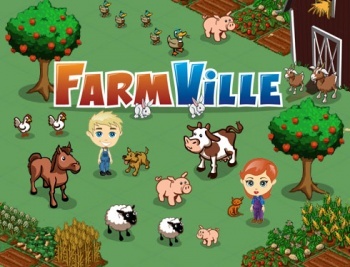 After Zynga execs cashed out, staff face shrinking returns on their stock. It's a bad time to be a Zynga employee. Recruited on the promise of bountiful stock options, they had to sit on their hands when CEO Mark Pincus and other important Zynga insiders sold portions of their holdings for millions of dollars. Since then the share price has plummeted and the timing of this dive, coinciding as it did with the sell-off, has led to accusations of insider trading. Throughout this nightmare Zynga employees had to watch their promised fortunes shrink to a much more modest payout, but come August 16th they get to finally see some return on their shareholdings. August 16th is when the lock-up period on 150 million shares finally expires, allowing their holders to sell. No doubt they will, and in large numbers, but this will mean that the share price will decrease even further. Whoever gets out the door first on those trades will make the most - such as it will be - on their holding, which may result in another sudden price dip. According to NASDAQ it's trading at $2.845 per share as I write this. When those 150 million shares come on the market, it's anyone's guess where Zynga's share price will end up; $2.845 per could look like a high point. In response to the stock price drop Zynga has reshuffled top staff, taking away COO John Schappert's responsibility for games and giving it to two other senior staff. It would seem that Schappert - who made $3.9 million net when he sold his stock, as compared to Pincus' $200 million - is carrying the can for at least some of the company's misfortunes. Zynga's official statement on the reshuffle was appropriately modest: "we can confirm that in order to unify our company around a multiplatform approach, we reorganized our teams in July to integrate web and mobile groups." This is all sounding eerily familiar. Employees lured in on promises of stock options that never live up to the hype, watching - horrified - as their dreams of future prosperity tank along with the share price? Trouble brewing at the top, as senior staff jockey for position? This is all a little too close to the dot-com bubble mistake that people went through back in 2000; though at least Zynga - unlike many of the dot-coms - managed to produce some product, however people may feel about the quality of their output.